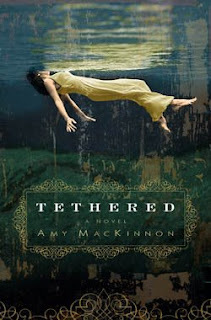 Amy, thank you for visiting my blog today, and congratulations on the release of Tethered and its being chosen a September pick for Borders’ Original Voices Program. In my “books read” list, I labeled your book a mystery with magical realism. How would you classify it? A great question, one I’ve been discussing with my friends lately. It was never intended as a mystery, thriller, horror, or anything other than a novel. I do like magical realism, however, so let’s go with that. What was your favorite part of writing Tethered? Please don't think me trite, but the very best part of all was the actual writing, the high I would get when I wrote a good section. And I loved when I was surprised by the direction the story would take, surprising even me. The flower theme and Clara’s garden were a luminous shock. Ah, the flower theme! I really loved that. Was it hard to write about characters with such wounded souls? Not at all. Though people are quick to read about the tortured in news accounts, in excruciating detail even, no one actually wants to hear from the victim. Too painful, I suppose. I wanted them to be heard, especially Precious Doe. 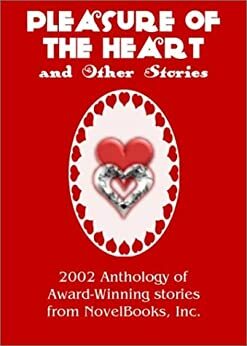 She’s based on the real Precious Doe, Erica Michelle Marie Green, to whom the book is dedicated. Also, I needed to rewrite her ending, to know she was safe and loved. Did your experience writing nonfiction for newspapers and radio help or hurt when you began writing a novel? Any kind of writing will only help. It taught me to use an economy of words; to place the who, what, where, when, why up front; to work well with editors (very important! ); and most especially to know that once words are committed to paper and printed, the impact—and all that goes with that—last a lifetime. Your style is so beautiful that I kept stopping to reread paragraphs and savor them. How did you develop your style? What hints can you give my blog readers for writing beautiful sentences? Shauna, that means a lot, thank you. 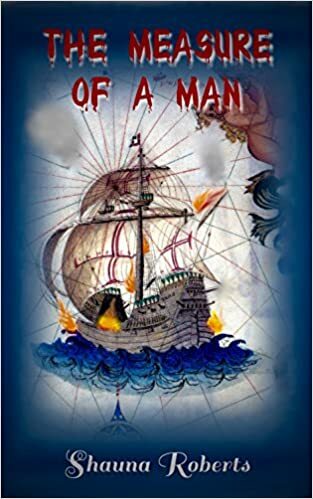 My first novel, the one I submitted to 73 agents, with partials/fulls requested by 50, and rejected by all, was written in a style I thought I, an inexperienced novelist, should try: very straightforward. It fell flat. But I didn’t have an MFA, didn't major in literature, couldn’t get a short story published to save my life, I had no right to attempt beautiful language—or so I thought. One day I gave myself permission to write something I promised not to show anyone. I wrote the most gorgeous prose I was capable of; it freed me to aim higher. I put it away for a few months, then re-read it. It was startling to realize it was pretty good. I would absolutely not recommend my writing structure to anyone! Stephen King writes everyday and has a ten-page requirement. Julia Glass wrote Three Junes in fifteen-minute snatches, here and there while working and raising children. It is up to the writer to decide how badly s/he wants this life and what s/he’s prepared to do to make that happen. Be bold. Never give up. Believe. What are you working on next, and how are those books related to Tethered? I'm working on another very dark story about both the best and worst of the human spirit. It too will have aspects of magical realism with the prominent theme being the search for faith. Thank you again for visiting my blog to talk about Tethered. Thanks so much for having me, Shauna. Can’t wait to return the favor. Amy MacKinnon’s Website is at http://www.amymackinnon.com. She shares a blog, The Writers’ Group, with three writing friends at http://writersgroupblog.blogspot.com/. Her book, Tethered, is available at Amazon.com, Borders.com, and Barnes & Noble. It's so exciting to read an interview of one of my favorite bloggers with one of my favorite bloggers! "Tethered" was just extraordinary and like Shauna, I stopped frequently to savor the beautiful language. I maintain it's the most powerful debut I've read yet and I've read some amazing debuts. This is a book that took courage to write and to send out into the world. Bravo on a wonderful interview and a beautiful book! I love good prose. I'll have to check this out. It is nice when those surprises come in the writing process. What a great title and cover. I'm going to pick this one up for my wife. Seems to fit her taste exactly. As the others have mentioned, that is a stunning cover! And how wonderful that you gave yourself permission to find your writing voice, Amy. I look forward to reading this book. Thank you, all -- especially Shauna for hosting me here on her lovely site. As for the cover, I agree, it's the most gorgeous jacket art I've ever seen and I'm hugely grateful. The original galley was black with a gray headstone, TETHERED written across the top. When I expressed my reservations to my publisher, she put me in touch with the art director at Crown, the brilliant Whitney Cookman, and he asked what I had in mind. I emailed a b&w Toni Frissell photo that graced the cover of a 1947 Harper Bazaar, Whitney did the magical colorization (something I never could have imagined, it took a true artist to create Whitney's masterpiece), and we ended up with this. I think it took all of 30 minutes. This is my dream come true cover. Amazing, isn't it? That has to be about the best book cover I've seen this year. Great advice, too! What a delight to find an interview with 2 of my favorite people! I was surprised seeing Tethered categorized as a "thriller/mystery" so it was interesting to see that Amy hadn't considered it that way. 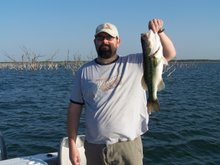 It is always good to be reminded that each author works at a different pace. Very interesting about the cover art. CHARLES, and even nicer when a publisher likes the surprises and buys an unusual book like this. LEIGH, I've interviewed several other authors. I'll email you separately. AMY, thanks again for the interview. How fascinating about the cover and amazing that you had such input into it. CARLEEN, I've noticed that the "thriller" label is being slapped on more and more books that ten years ago would have been labeled "mystery." I think it's a shame because I like mysteries (to me, books with a murder to be solved) a lot more than thrillers (to me, books with political intrigue and car chases and lots of people who aren't what they seem to be). RAE ANN, I agree. How people write their books is endlessly fascinating to me. LEIGH, I've just been to your blog and discovered that your email address isn't there. 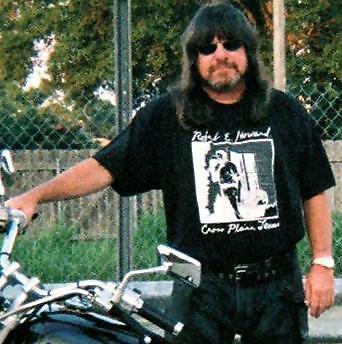 If you want to read some of the other author interviews I've done, search on "author interview" on my blog. If you'd like to be interviewed, please contact me a month or so before your book is released at ShaunaRoberts [at] ShaunaRoberts [dot] com. I've came over from W. Hammett's site. I found this inteview very useful. I do not aspire to be published, but writing is one of my hobbies. A lovely interview about a lovely story. Thank you. Hey Shauna, Did you see Amy's review in the NY Times??! SZÉLSÖFA, welcome. We share many of the same blog friends, I think. Thanks for dropping by and hope you enjoy future interviews as well. There will a list of past interviews with links (along with a contest) here on Wednesday the 17th. BERNITA, glad you enjoyed it. CARLEEN, I hadn't seen that, so thanks for pointing it out!